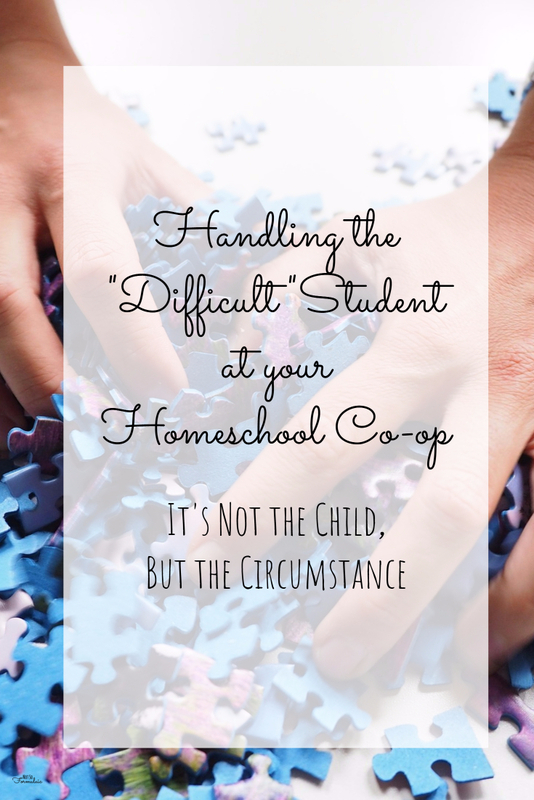 Are you struggling to handle the “difficult” student in your homeschool co-op? 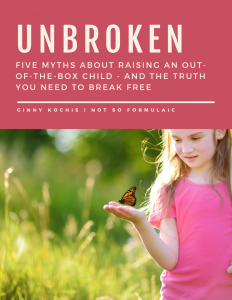 This four-day series will provide lessons and activities to change the circumstance, not the child (you can download the free E-book here). In my seventeen years of teaching, one student stands out. And his behavior was really, really obnoxious. I know – that’s a strong word. And not how I should refer to any child. Tom didn’t sit in his desk. He perched on top of it or wandered the classroom. He took multiple trips to the pencil sharpener, most of the time without his pencil. He talked out of turn. He tapped on his desk. He poked other kids with his fingers, elbows, writing implements, or whatever he had on hand. Tom was the textbook example of a difficult student. In my eyes, he was not a learner who needed something more. Rather, he was the disruptor who took my time and attention. He was The One Who Kept Everyone Else From Learning. What I didn’t know then, but I do know now? 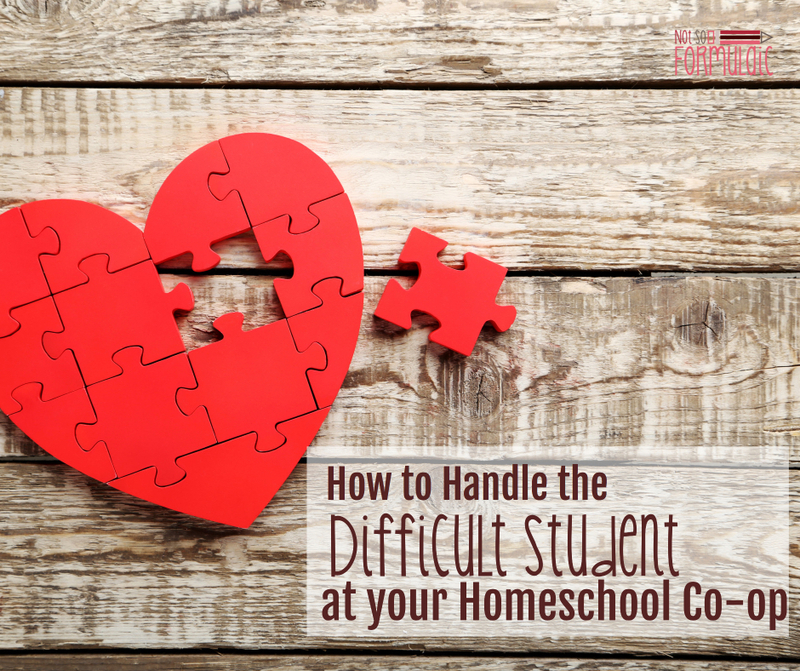 There is no such thing as a difficult student. There are only difficult circumstances, and the kid gets the raw end of the deal. Tom responded when I wasn’t lecturing. Hands-on activities grabbed his attention and let his talents shine. Tom had a mode in which he learned best. Everyone does – it’s referred to as a learning style, adapted from Howard Gardner’s theory of multiple intelligences. Behavior problems in students like Tom occur when an educator’s preferred learning style (most frequently auditory) and a student’s intelligence (most frequently not auditory) crash and burn into a pile of frustration. It’s one of the reasons many families start homeschooling, right? If you’ve ever had your child in school, you know the extent of passive classroom learning. But the truth is, the same thing can happen to homeschoolers, especially in a co-op setting. Because class time is crunched, the curriculum is demanding, and the number of students is daunting, it’s easy for mentors to fall back on a lecture. It’s not easy for students to sit, listen, and absorb the content. Here’s where our expectations become a problem. Think about it – at home, our children explore learning in a comfortable environment. The co-op classroom is an abrupt change from that atmosphere: where at home a child might take frequent breaks, read standing up, or work in a small group with siblings, that same child might be expected to sit still for half an hour in a traditional co-op setting. On average, most adults can sustain focus for 20 minutes at a time. Children can generally do ten. If your co-op class period is 40 minutes of lecture and discussion, that requires four times more concentration than a child can offer. Their interest begins to wane; their boredom gives way to “difficult” behavior. So how do co-op mentors keep every student engaged? Through a technique called differential instruction: using activities that shift every ten minutes and appeal to a variety of learning styles. Now stay with me here. I can see you, and I know you are rolling your eyes. I’ve been there, too. In fact, after one particularly awful in-service on differentiation, I remember asking a colleague if I was supposed to be teaching or running a dog and pony show. And best of all, problem behaviors disintegrate. Suddenly, the “difficult” student is no longer difficult. She is engaged in her learning and too busy to be inattentive. Over the next four days, I’ll be profiling a typical “difficult” student. 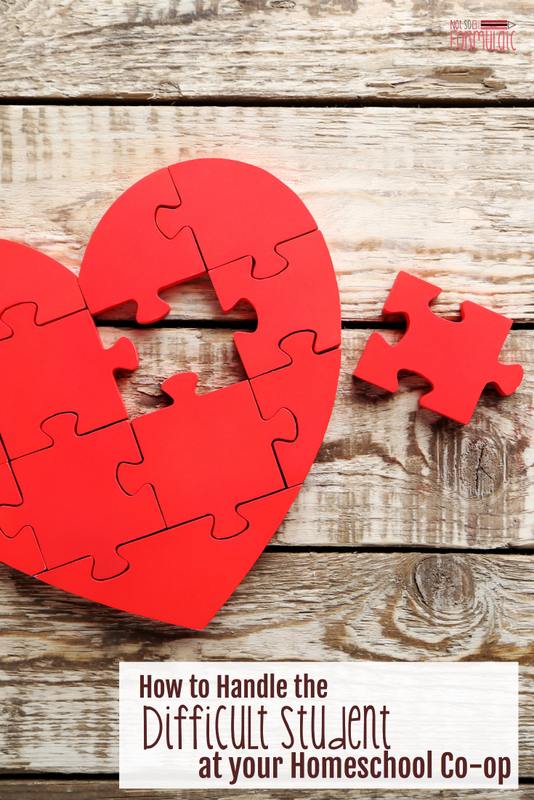 I’ll identify the “problem” behaviors, connect them with particular learning styles, and provide activities and lesson ideas designed to draw in every student. At the end of the week, you’ll have the opportunity to download an E-book version of the entire series: every tip, trick, and activity suggestion will be in one place for your convenience. The series will provide practical, actionable advice that will not only save your sanity as a mentor but keep your students excited about learning as well. I’ll give you the knowledge I wish I had had when I was working with Tom. It would have saved both us, I think, preserving me from the stress of a “difficult” student, and protecting him from the wrath of an irritated teacher. Every child deserves a chance at true, authentic learning. Here’s to reaching every child. 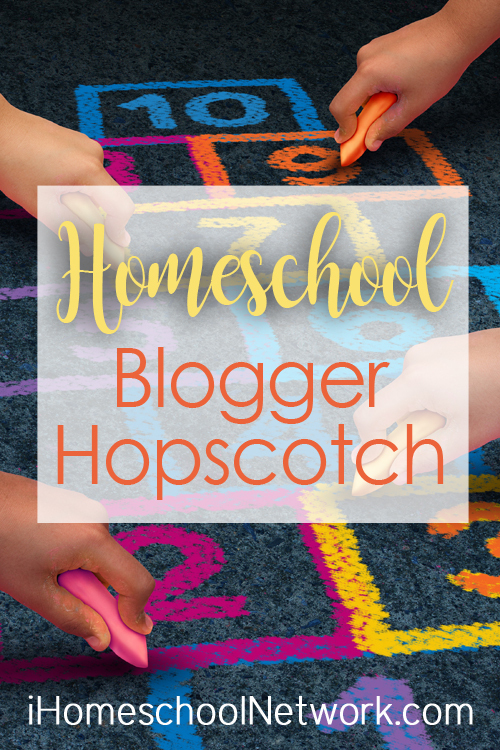 This post is part of the iHomeschool Network Blogger Hopscotch for February.